7 1/4 L x 3 1/2 W x 4 5/8 H in. Solid blond wood casket-style box purse humorously playing with the idea of a an evening bag, or "nite" bag. Screen printed in gold and decorated with faux gems and metallic embellishments on sides and top. Front panel features a stylized owl with heavily embellished eyes of orange and crystal imitation stones and gold embellishments, and claws dotted with amber gems. 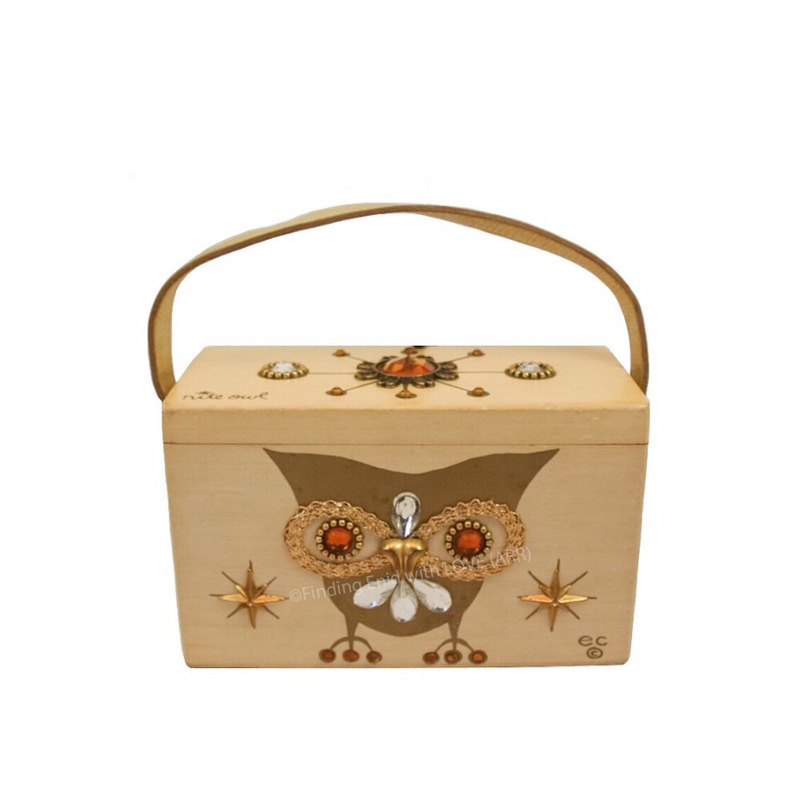 Acrylic metallic gold star appliqués imply night-time, as does a highly stylized "star" on the box lid, also decorated in faux gems and gold. "nite owl" appears in lower left corner of lid in hand-script print style. The letter "I" in "nite" is dotted with a gold asterisk-style star.